Happy Cinco de Mayo! This is a holiday I take very seriously. Guacamole is by far my favorite food from the “dips and spreads” food group! So, despite the fact there’s a nationwide avocado and lime shortage wreaking havoc on guacamole lovers everywhere, my goal today is to consume as much of the green stuff as possible. [Side note: On this day alone, Americans will consume almost 81 million avocados!] To ensure I reach my full guacamole-eating potential, I’m whipping up a batch in my own kitchen. 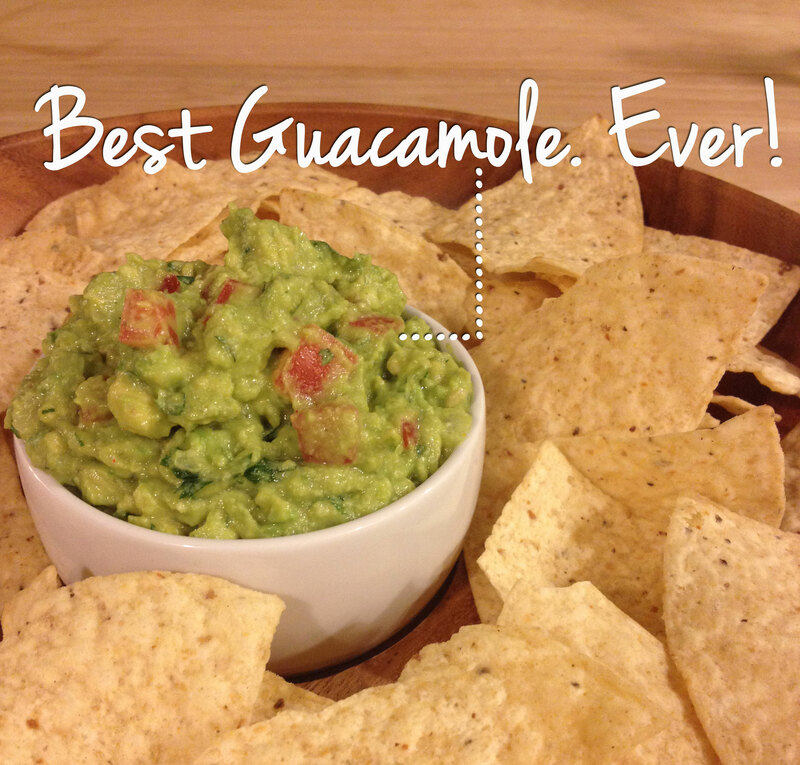 Here is the only guacamole recipe you’ll ever need – trust me, I did all the R&D. Avocado Tip: Avocados grow on trees, but only ripen once they’re off the tree. If you pick up an avocado at the store that’s not quite guacamole ready, to expedite the ripening process, put it in a paper bag with a banana or an apple. Place the avocados and juice of 1 lime in a large bowl, toss to coat. Add the cayenne and cumin. Using a potato masher, mash until slightly chunky. Fold in the remaining lime juice, lime zest, jalapeno, onion, tomatoes, garlic and cilantro. Season with salt and pepper. If storing in the refrigerator, press the surface of the plastic wrap onto the surface of the guacamole to help prevent oxidation.